Outdoor Lighting for your Long Island Home. 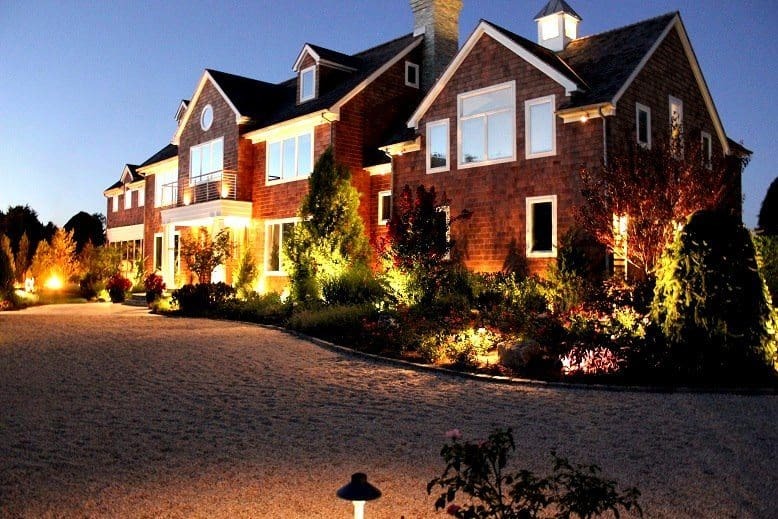 Home › Blog › Outdoor Lighting for your Long Island Home. When you think of Long Island, one might think and relate it to being the close cousin of New York City. It is true that it is in close proximity to New York City, but this island has a way of life all its own. Where NYC has skyscrapers and large apartment buildings, Long Island has houses – lots of them – and those homes need lighting – in the yard, on the porch, on the driveway, walkways, you get the point. When it comes time for you to get outdoor lighting for your Long Island home, you should rely on the dependable services of a top quality landscape design firm. They are the only ones you can trust to do the light job right and the way you want it to be done. No yard is complete without outdoor lighting. Who wants to sit out in their yard in the dark? No one… unless you are looking at the stars through a telescope. For most people, they like to use their yards for entertaining, day and night. When you want to have an outdoor party in the evening hours, you need to be sure you have enough lights to light up the place so that everyone can see correctly. Plus, ambience is a huge factor in how your home is presented. This can be done with torches set up around the yard, but if you have fantastic lights wired up around the outside already, then you do not have to worry about buying anything extra unless you just want it for the atmosphere of the party. There are a lot of places who claim to do a very good job with outdoor lighting on Long Island. The truth is that you can’t trust this job to just anyone. You need to go with a landscape design firm who has the knowledge and experience of designing lighting for the outside of your home – especially if they are to be wired lights. You can’t go with just anyone when wiring is involved, so go with the best landscape design firm around. Whatever your reasoning is for needing outdoor lighting for your Long Island home, just remember to always go with the best landscape design firm. They will make sure that your light job on the outside of your home gets done the right and proper way. You can depend on Green Island Design to give you the best service on the island. That is a guarantee that not every landscape design firm can make, but we can, and we stand by it 100%.